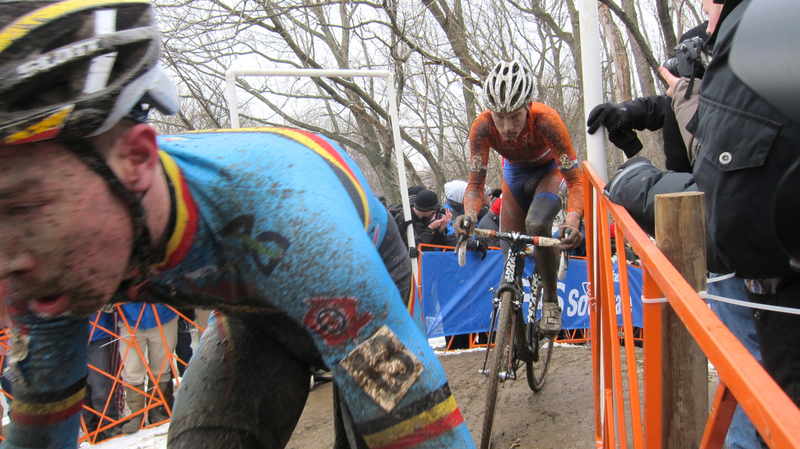 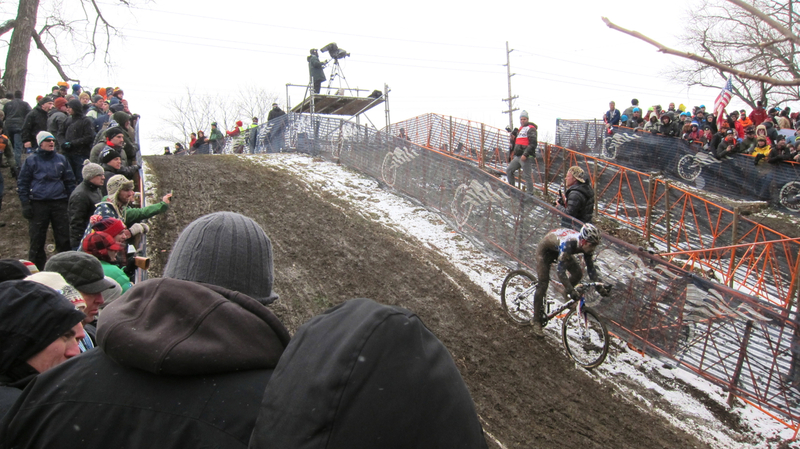 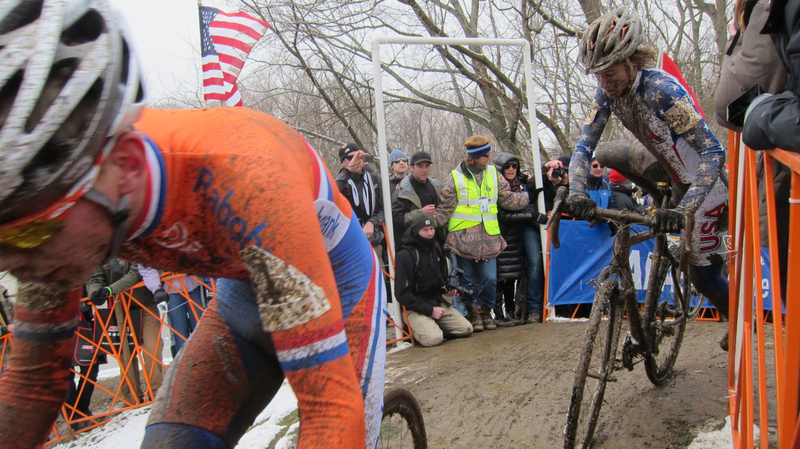 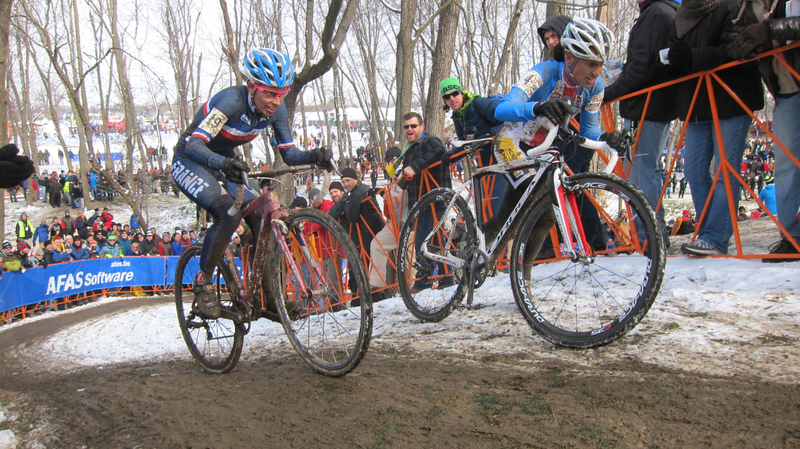 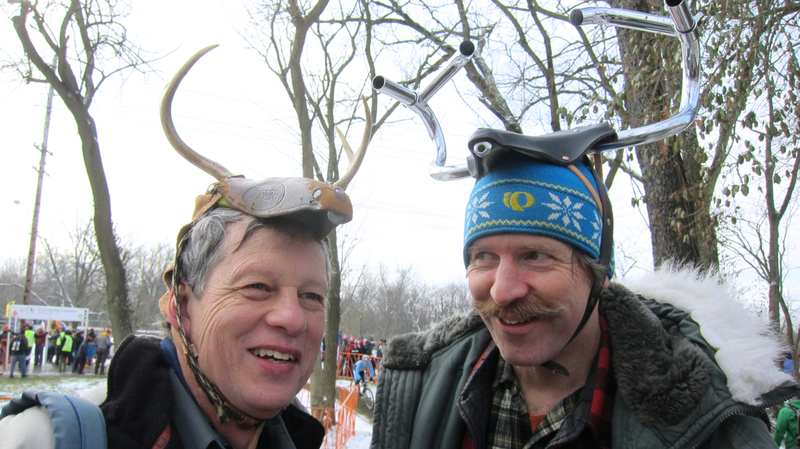 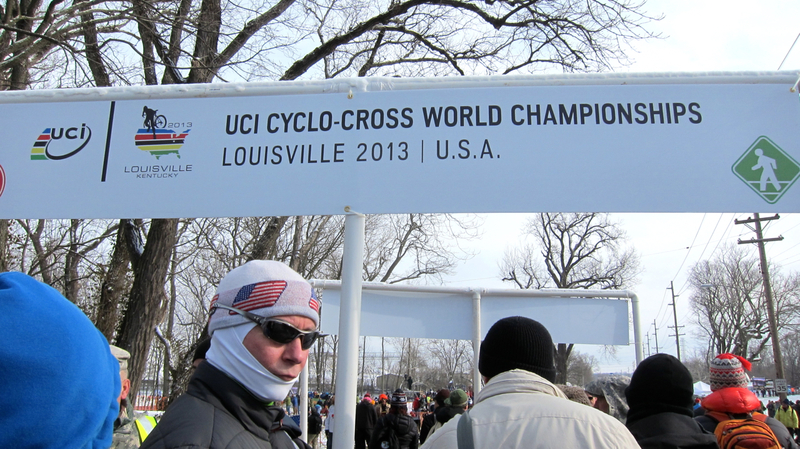 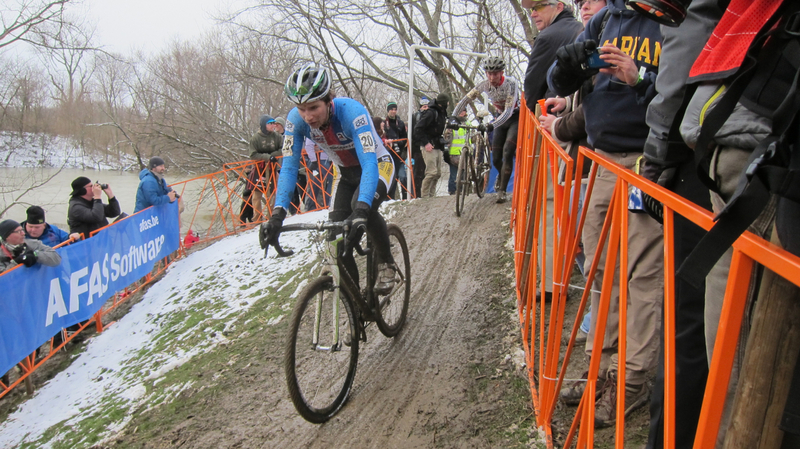 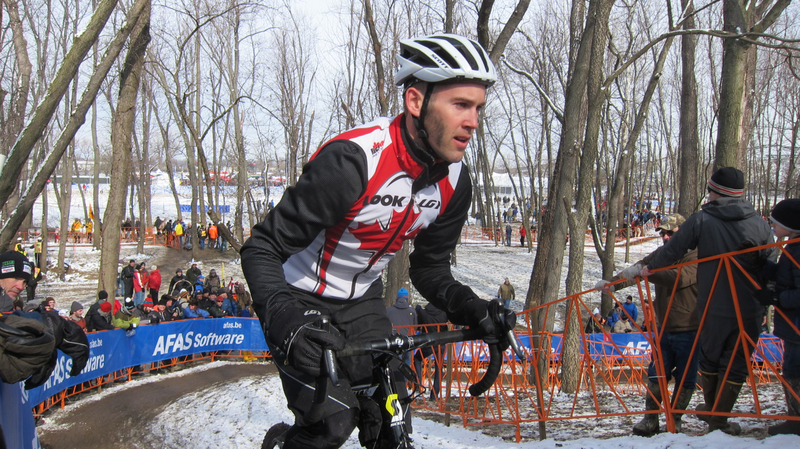 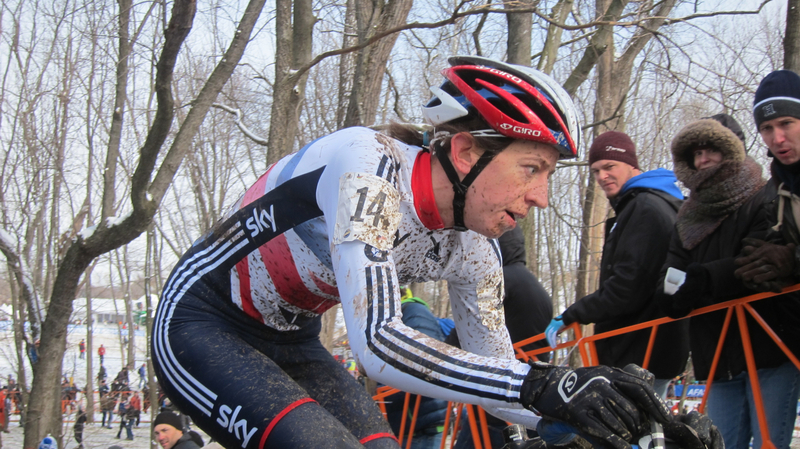 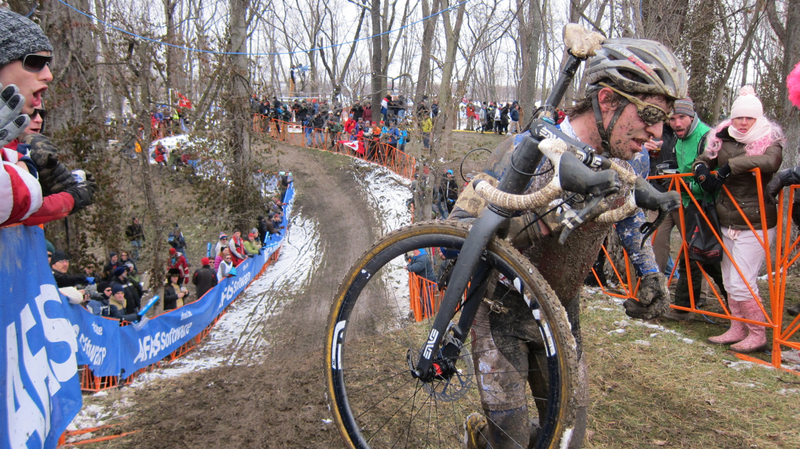 The Bearded One and I made our way to Louisville, Kentucky this weekend for a (potentially) once-in-a-lifetime event: the annual UCI Cyclocross World Championships were held in the U.S. for the first time in its storied 64-year history. 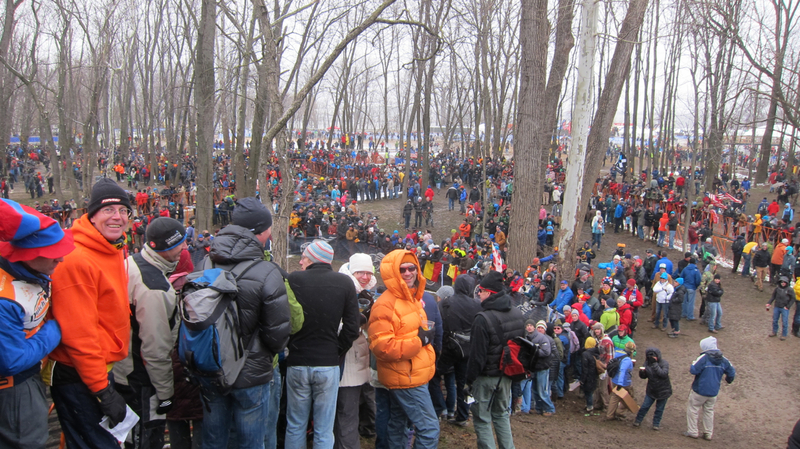 We certainly didn’t want to miss the chance to see this race hosted on our stomping grounds, so we joined 10,000 folks from all over the world at Eva Bandman Park. 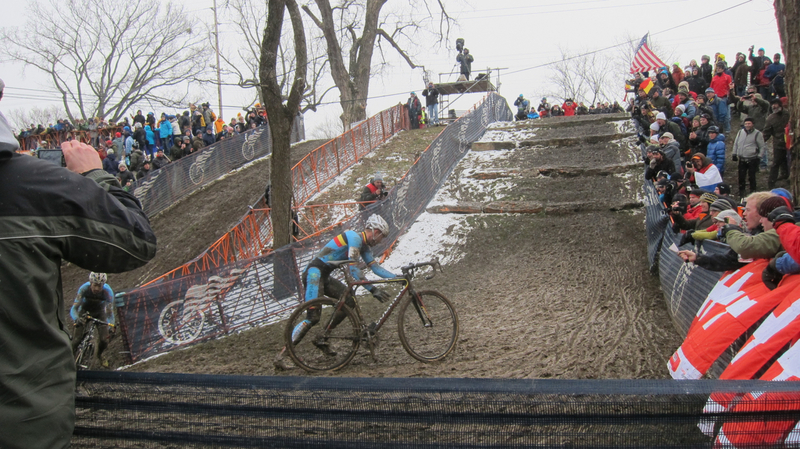 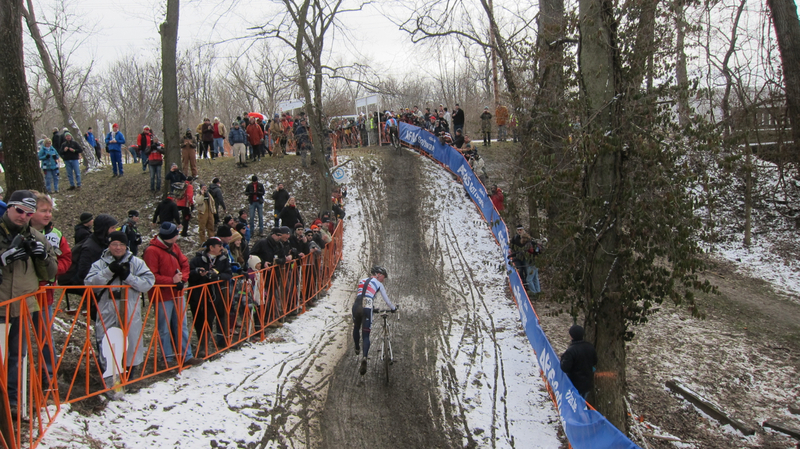 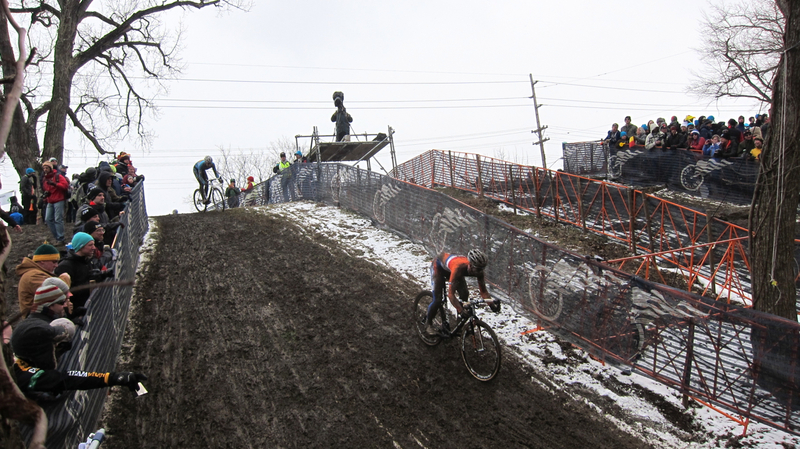 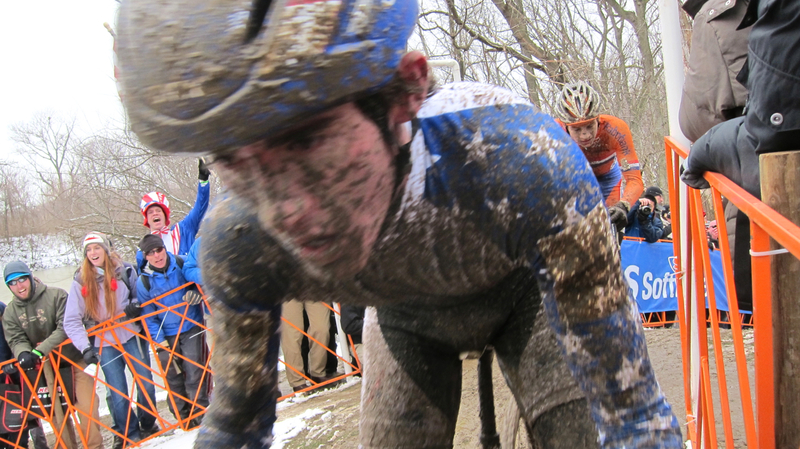 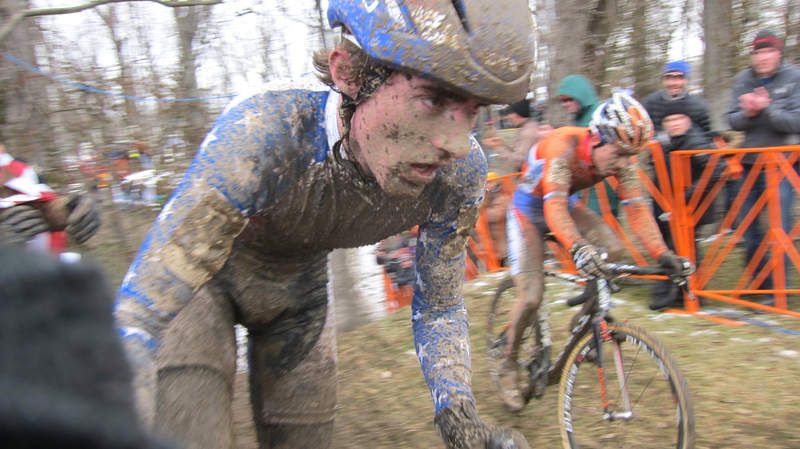 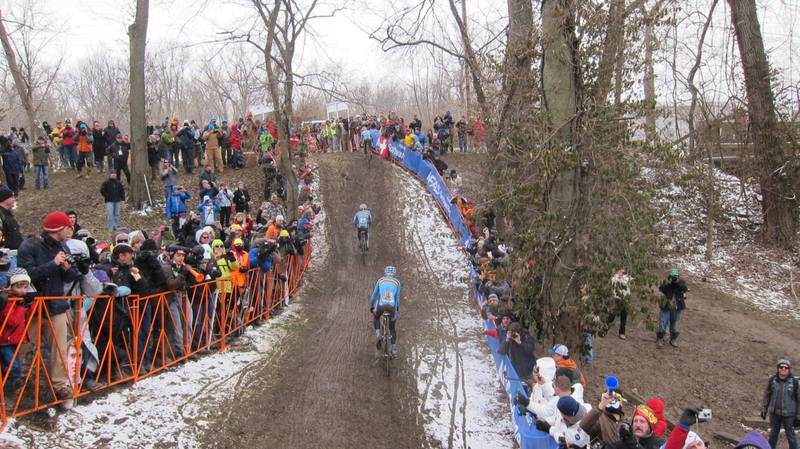 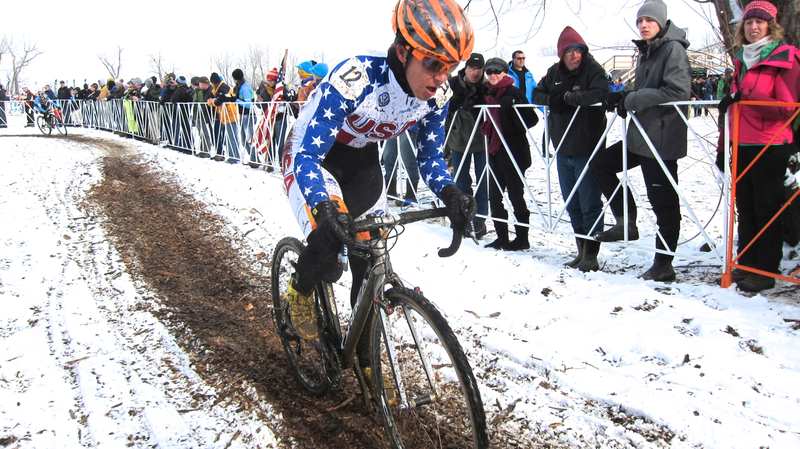 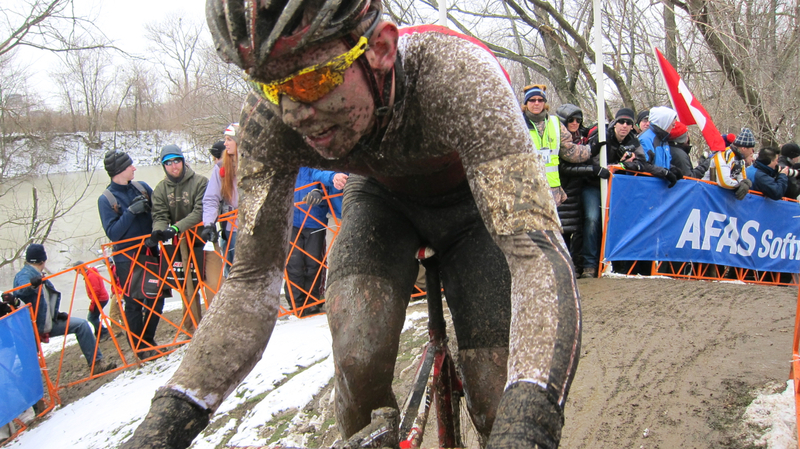 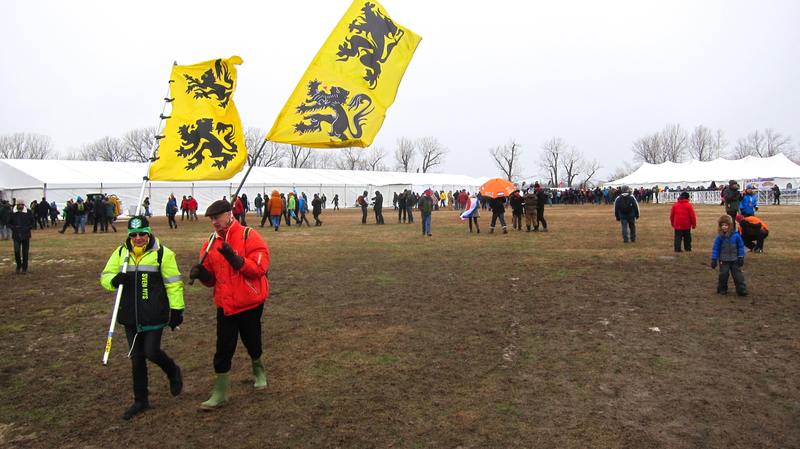 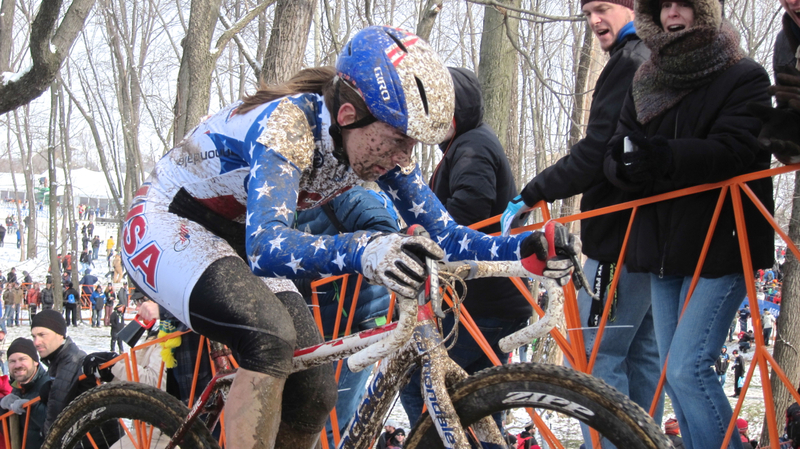 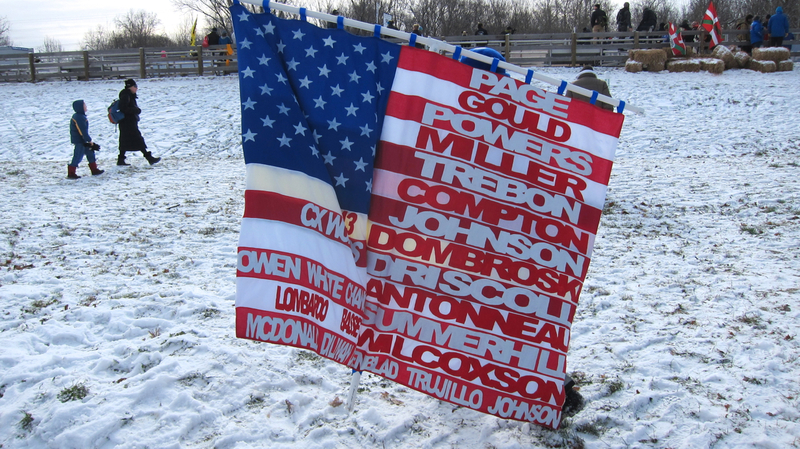 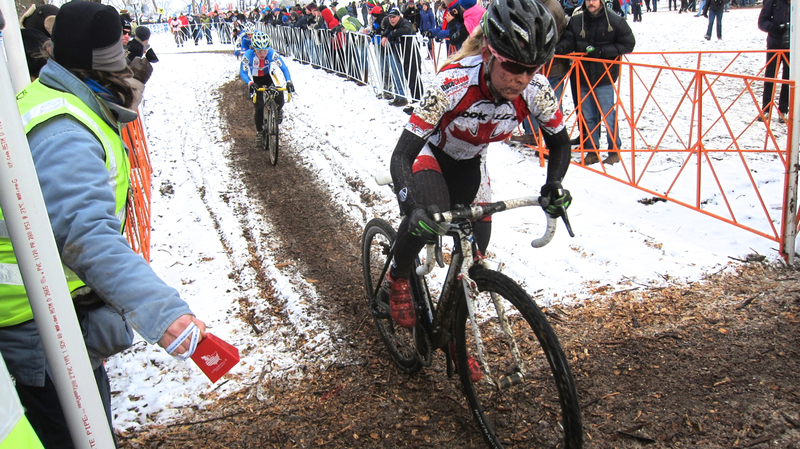 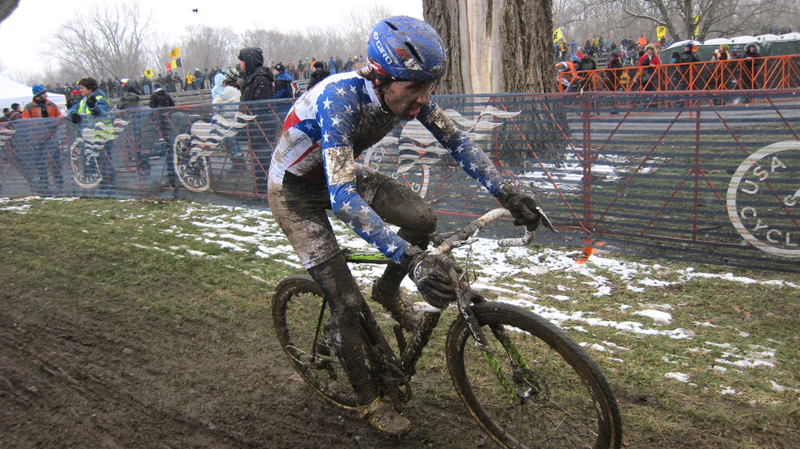 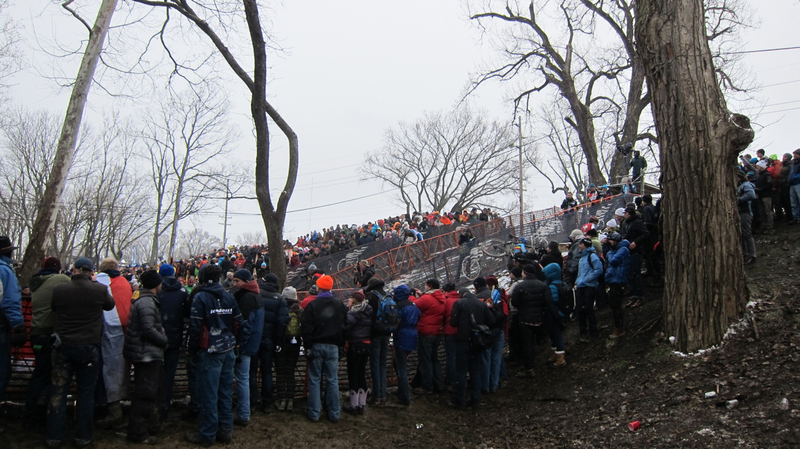 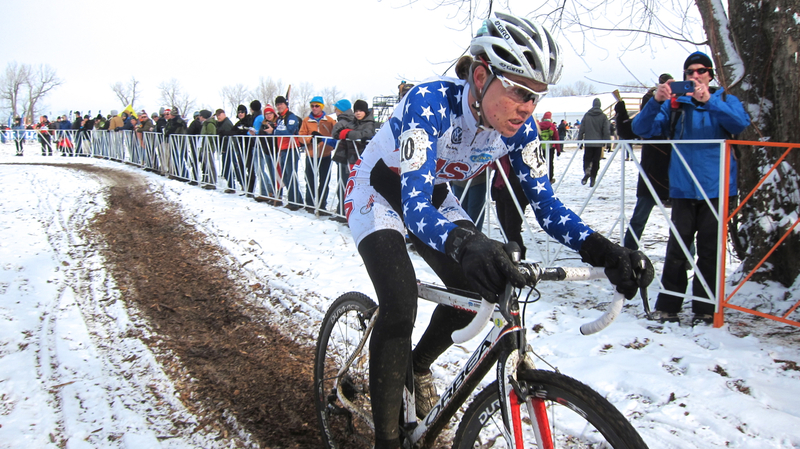 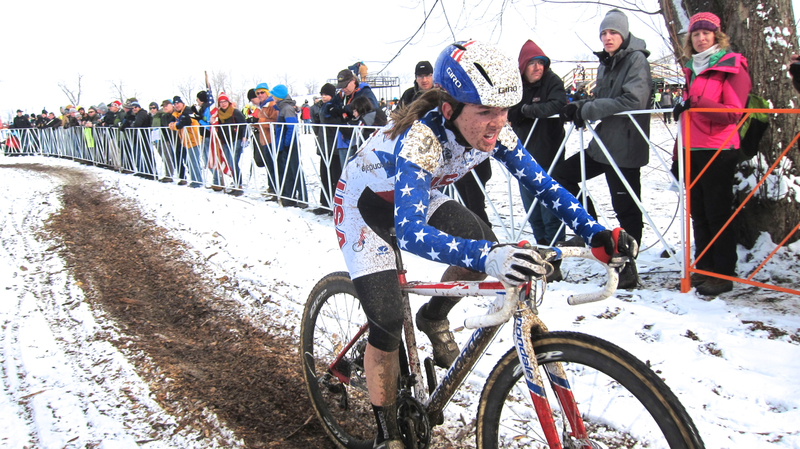 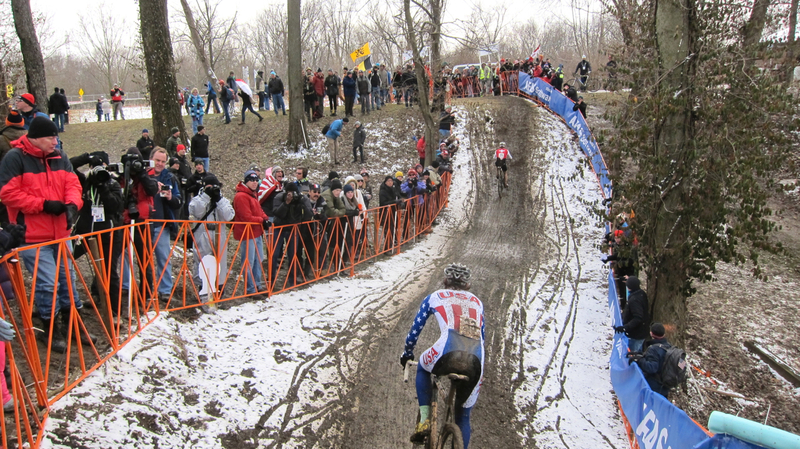 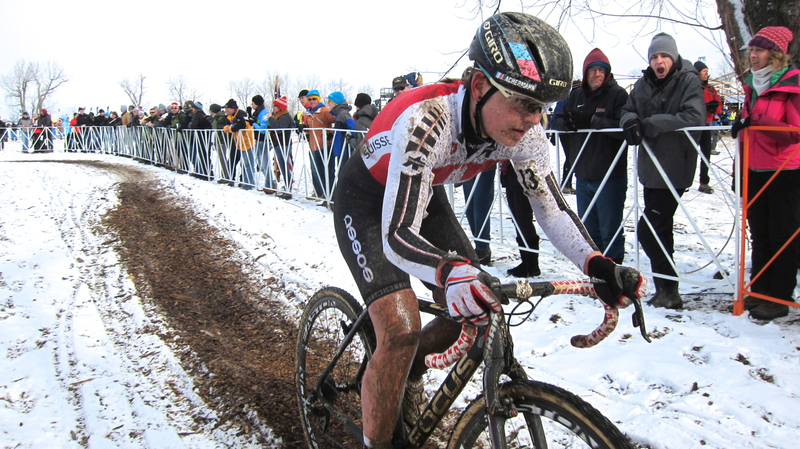 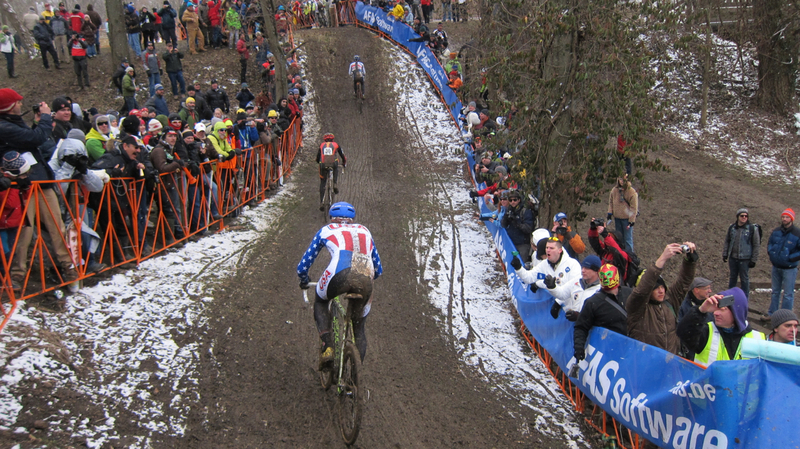 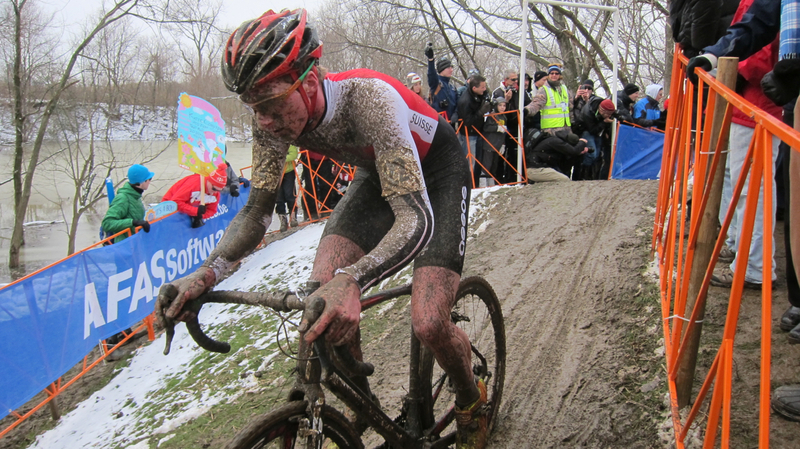 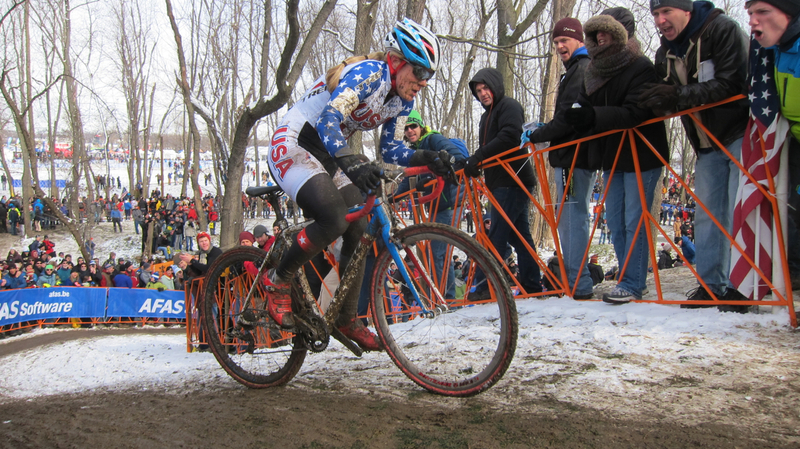 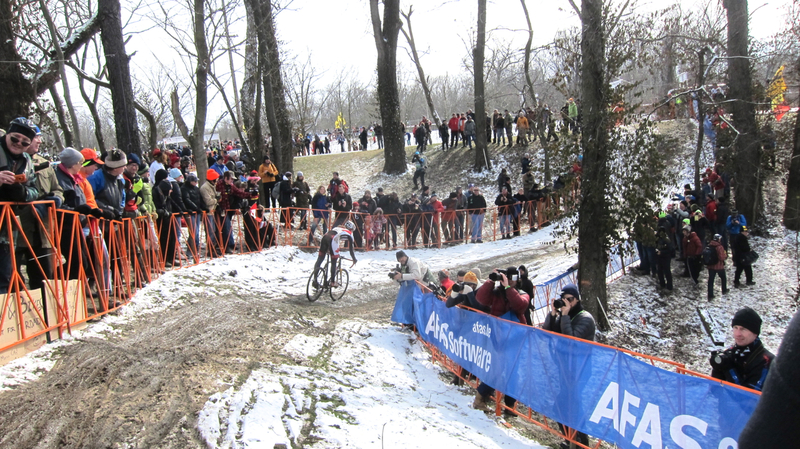 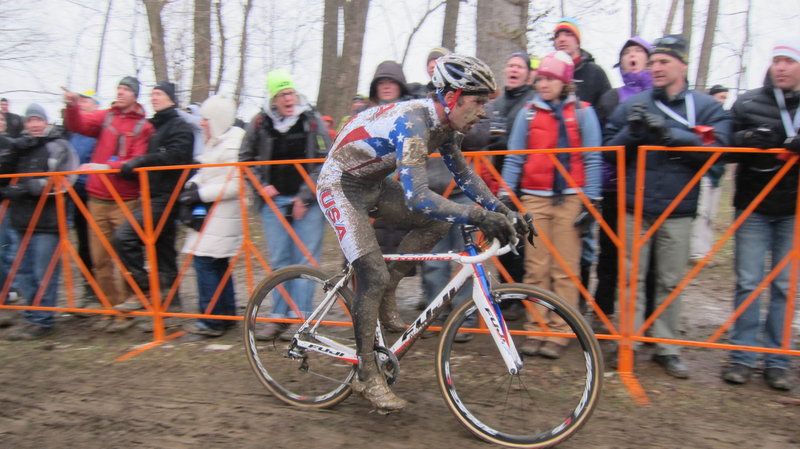 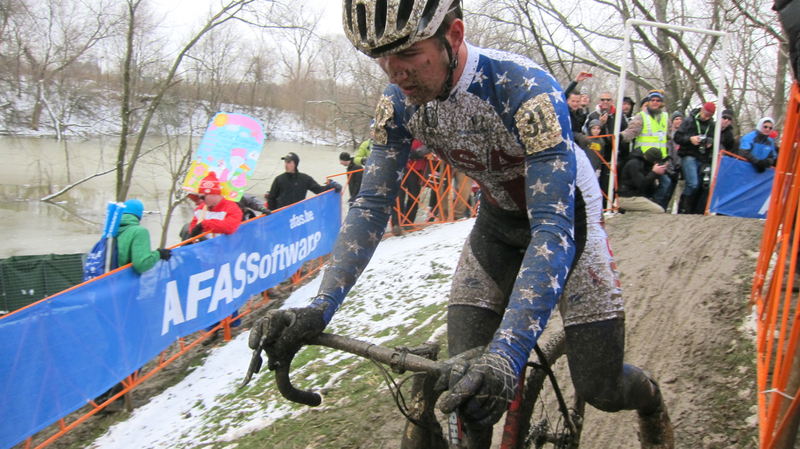 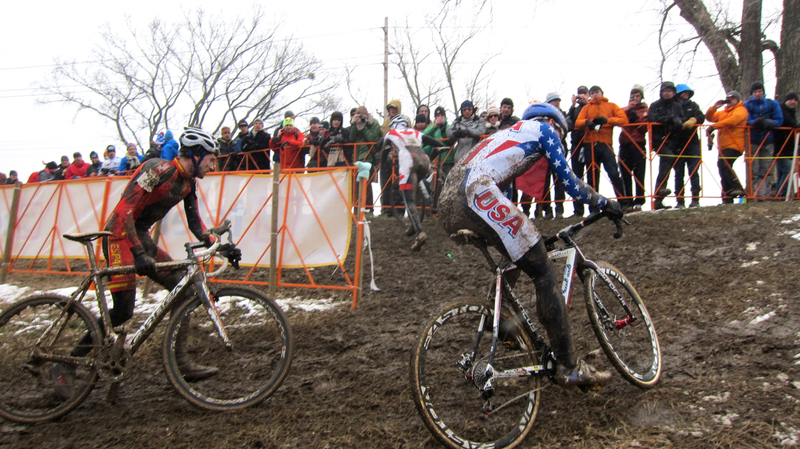 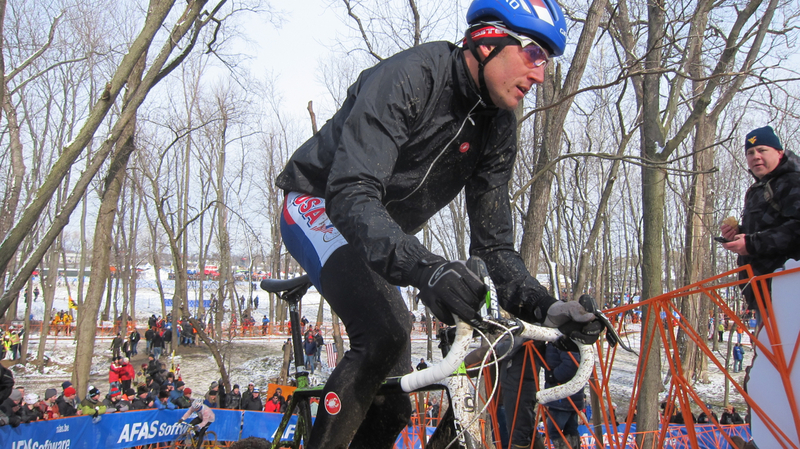 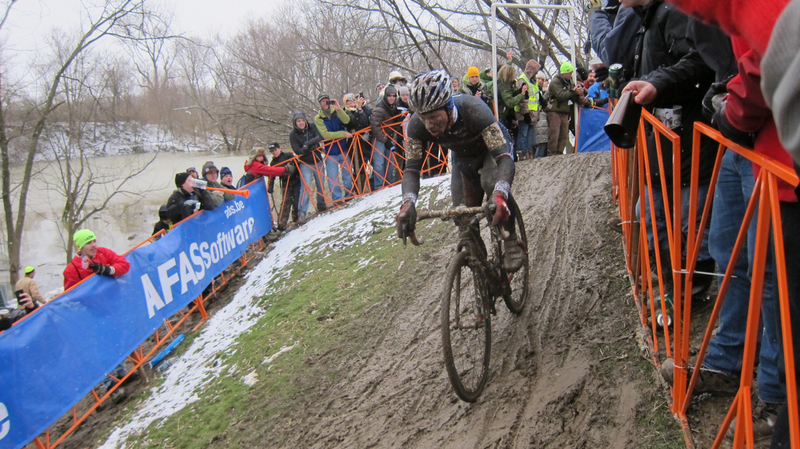 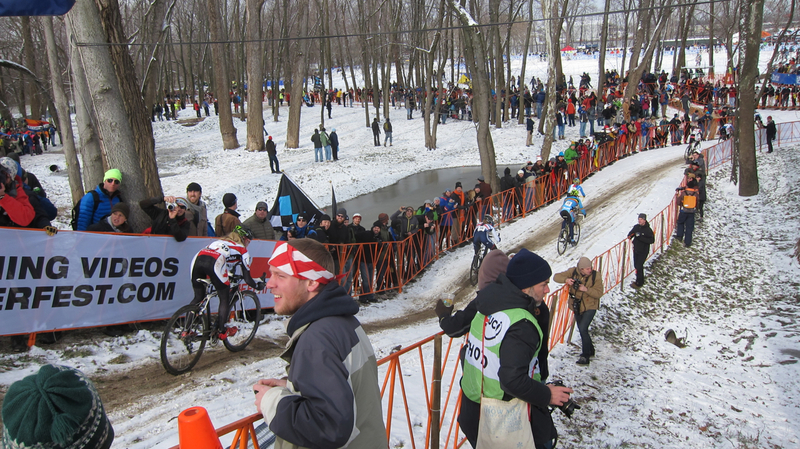 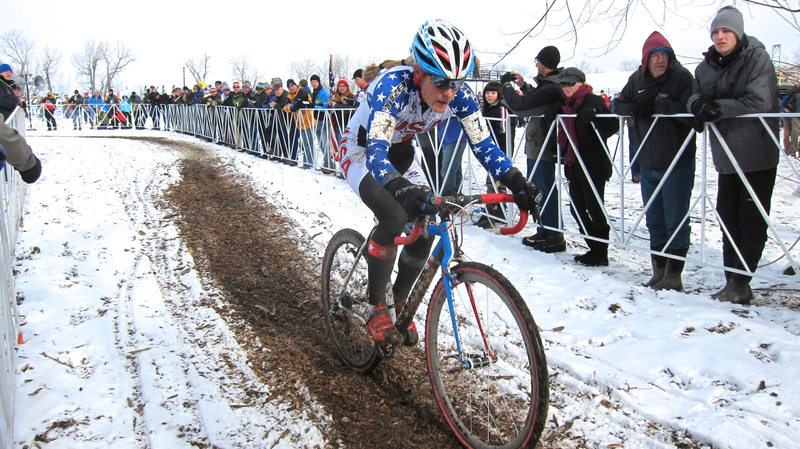 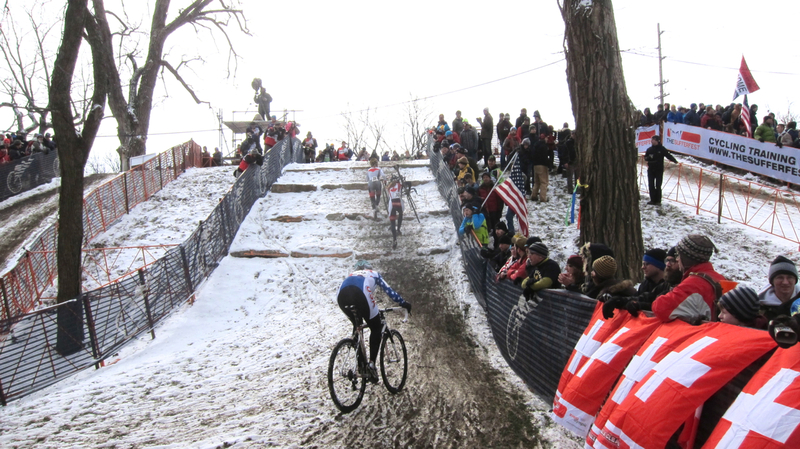 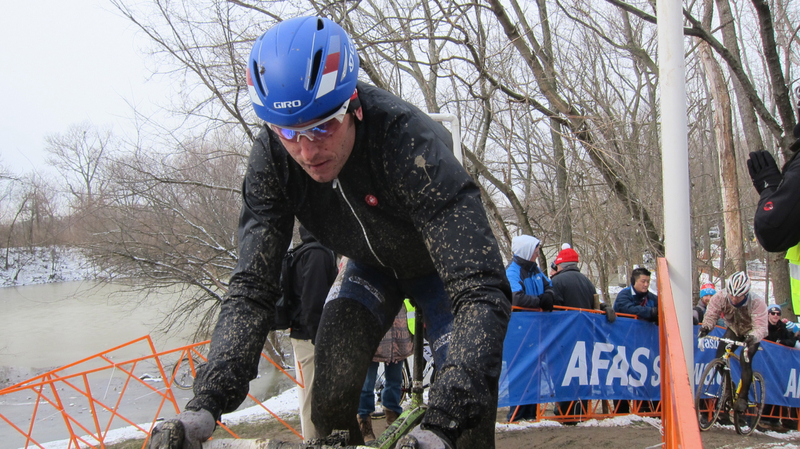 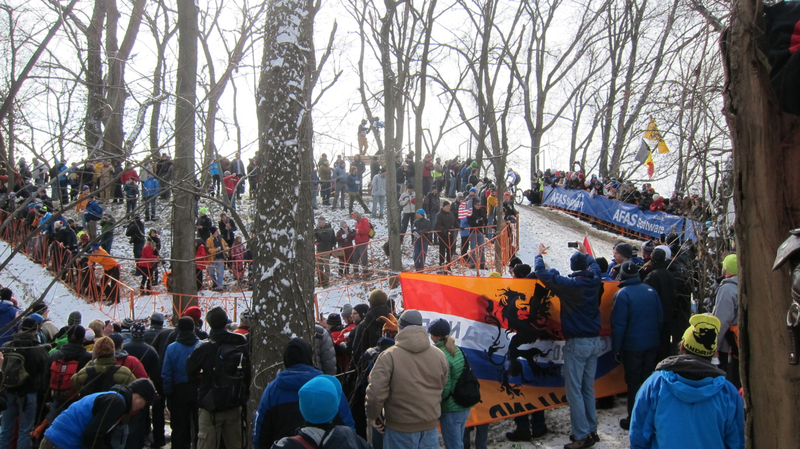 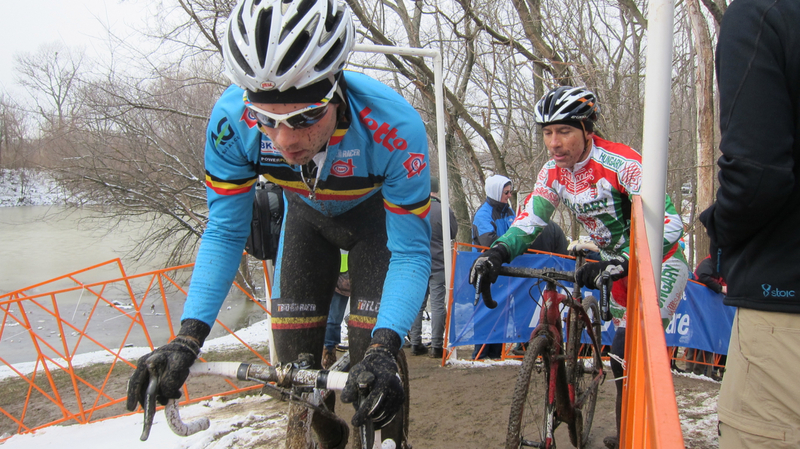 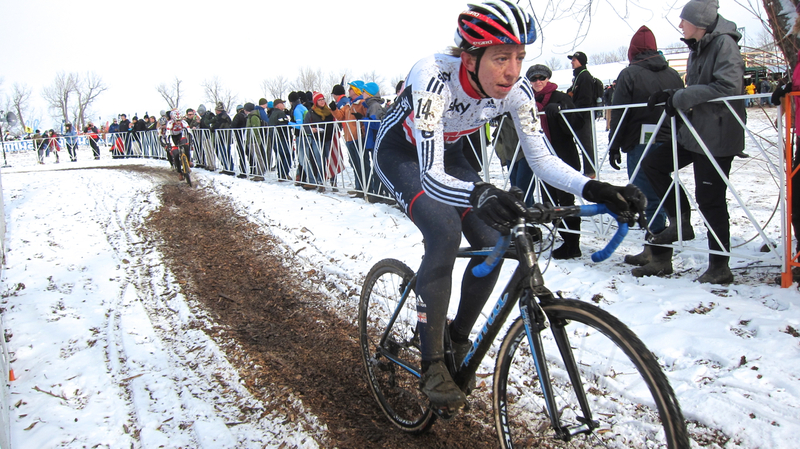 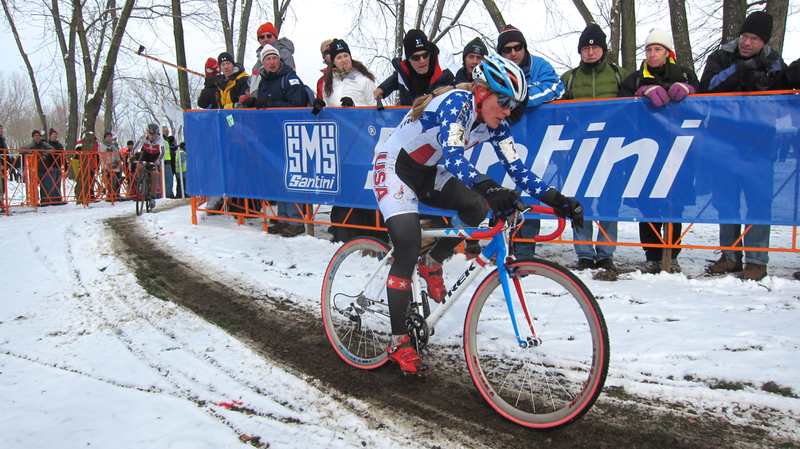 Belgian-like weather conditions in the form of snow, mud and even some flooding from the nearby Ohio River added extra challenges to the course. 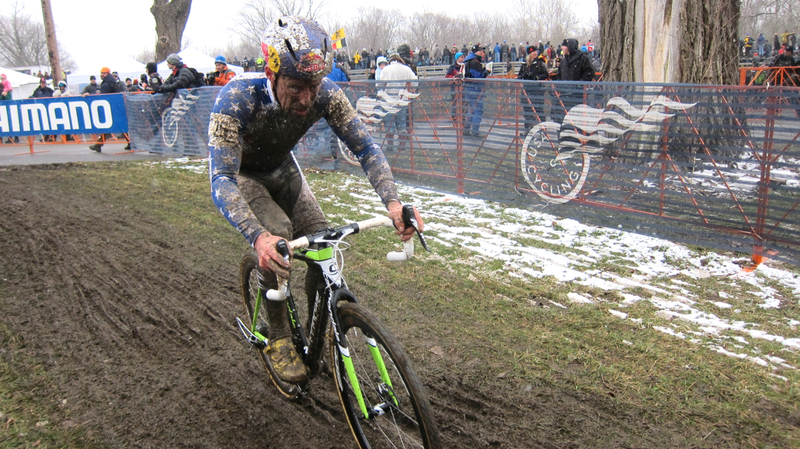 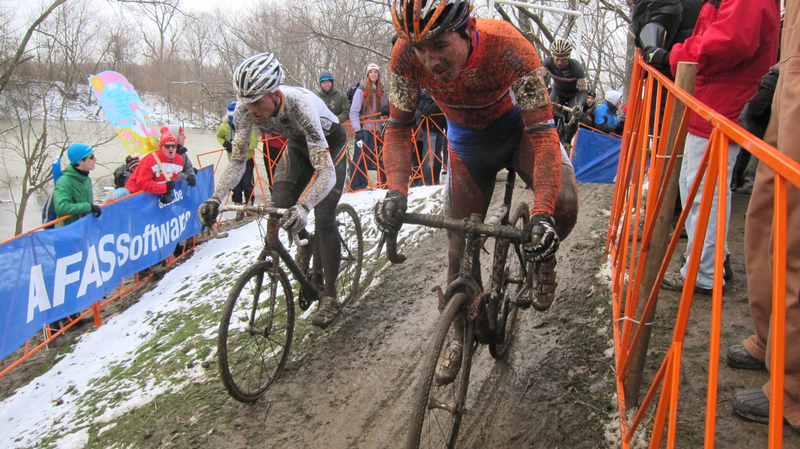 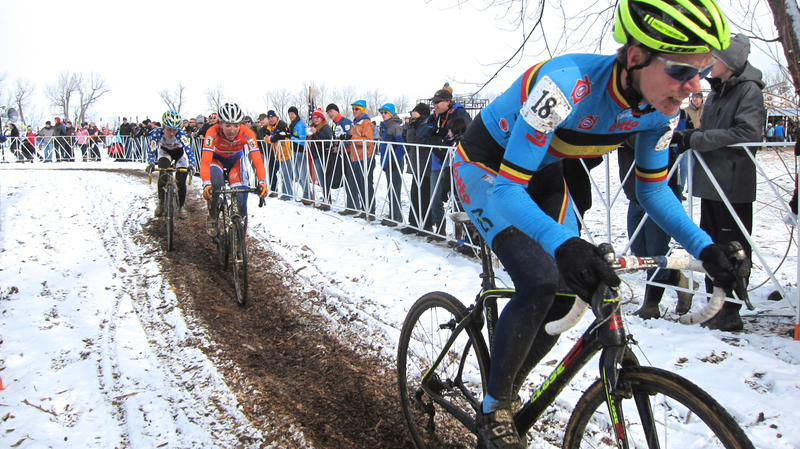 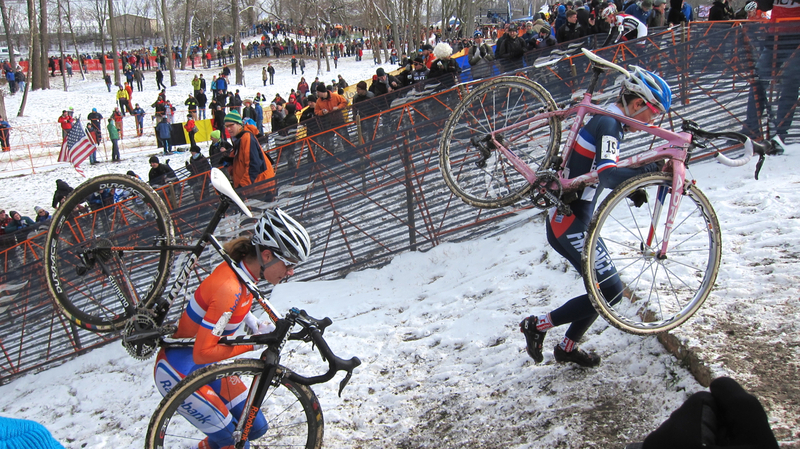 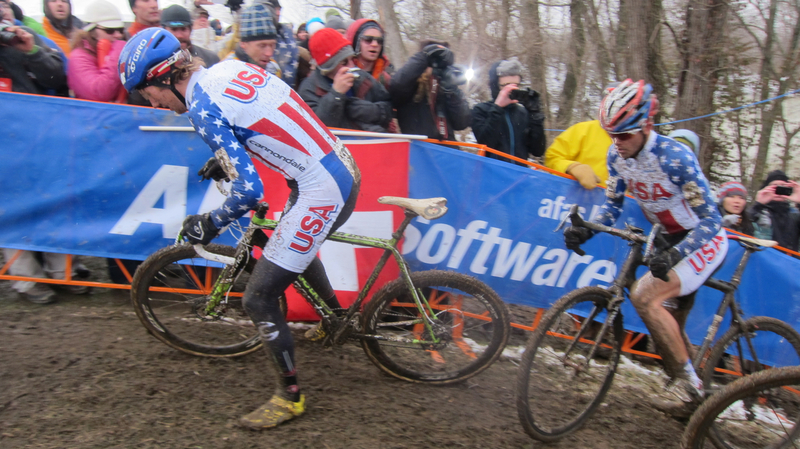 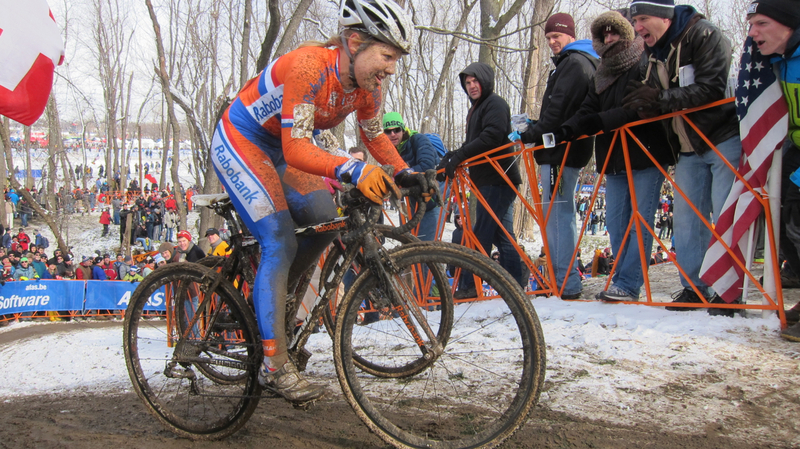 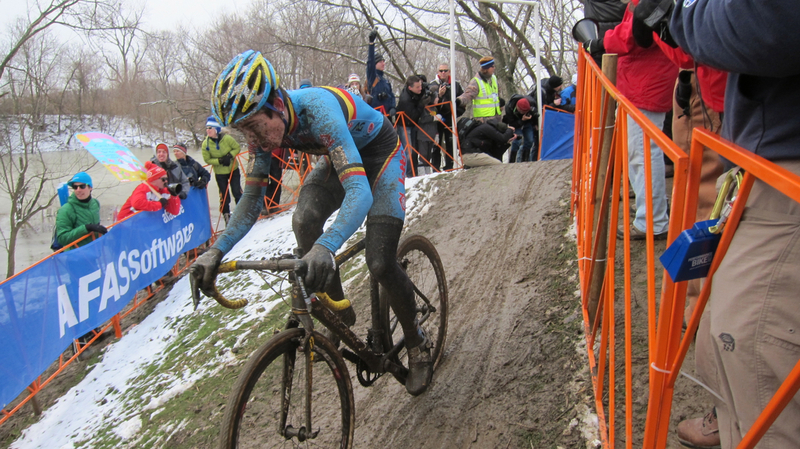 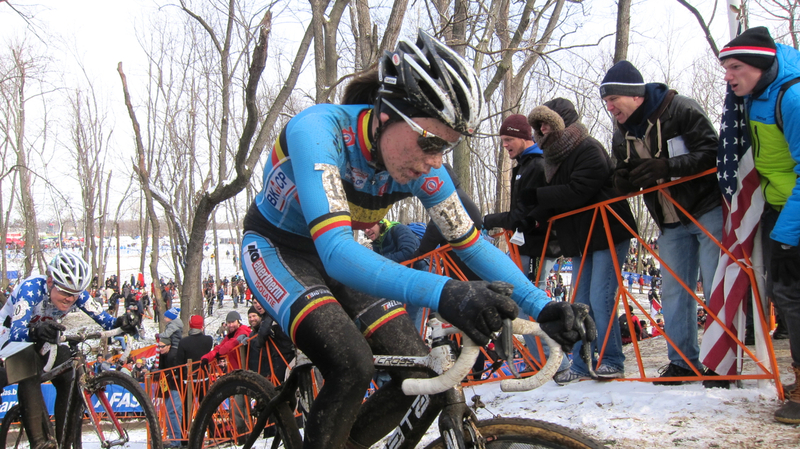 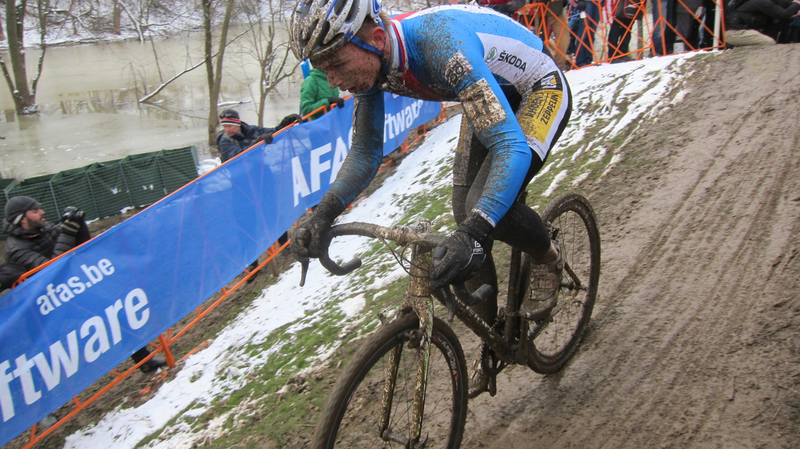 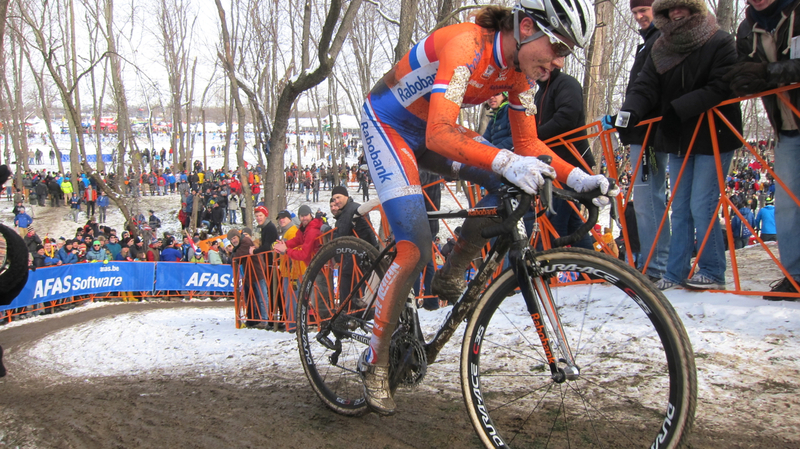 It was a true privilege to watch Marianne Vos and Sven Nys win the overall titles in their categories and be a part of the crowds of crazy fans heckling and cheering on all of the racers as they slogged through the elements. 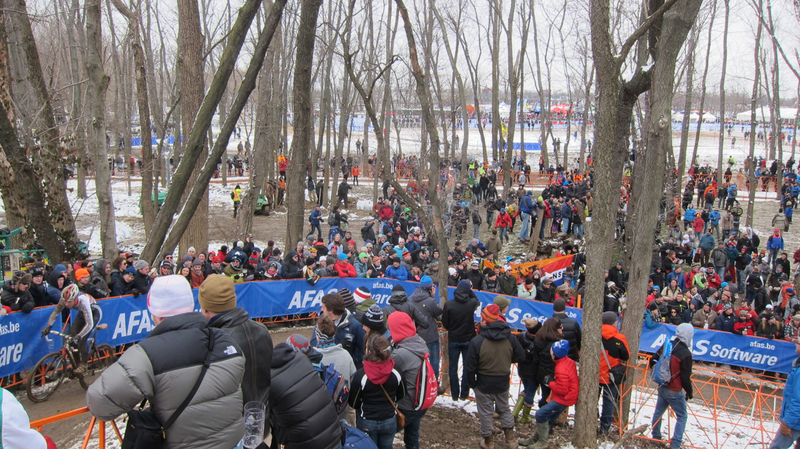 We had an amazing time and even had the honor of meeting many of the racers at the after party. 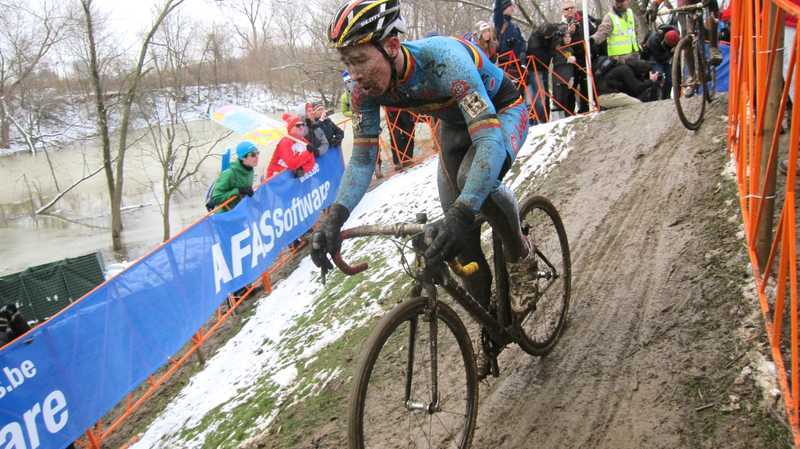 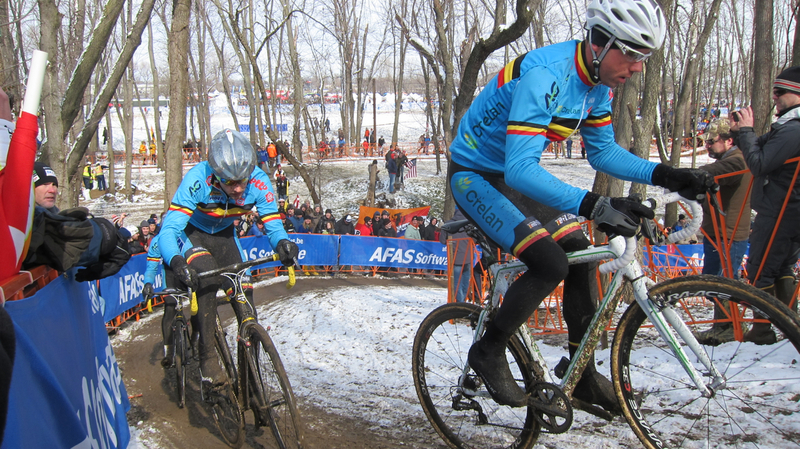 TBO spoke with Sven Nys, one of his cycling heroes, about when he was going to retire. 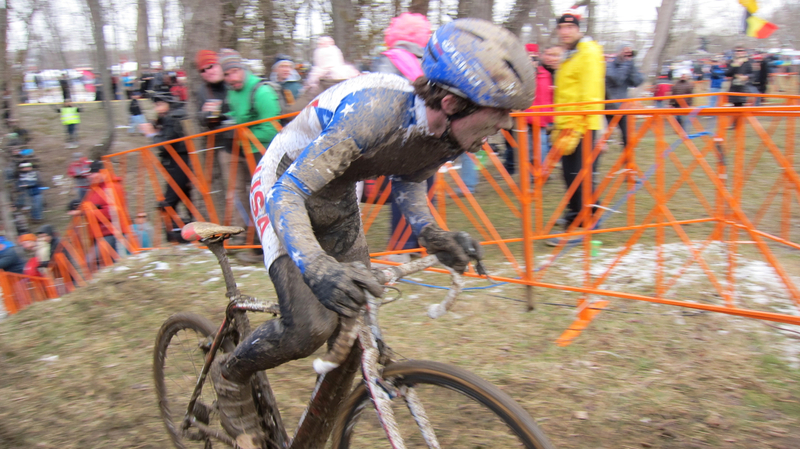 “Maybe in two years…or five,” he said with a smile.